The tourists spoke. Paul Gromosiak listened. Imagine chatting with 40,000 tourists, diligently logging every question they asked as they marveled at the majesty of Niagara Falls. That's just what Gromosiak did over six summers. Then he sat down to write a fact-filled book that provided all the answers. 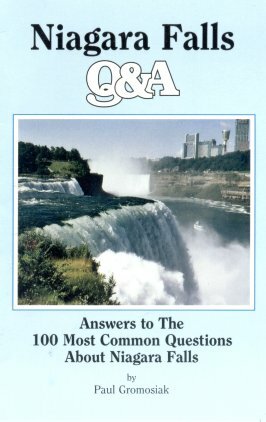 Niagara Falls Q & A: Answers to the 100 Most Common Questions About Niagara Falls has been one of the most popular regional titles. After more than 15 years in continuous print, buffalobooks.com has published a new edition with updated charts and 16 stunning full-color photographs. Paul Gromosiak is one of the region's most respected Niagara Falls historians. 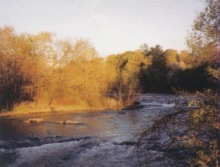 He has been interviewed by national television networks, and authored five books on the falls. But none has been more popular than Niagara Falls Q & A. * When was the last time someone went over the falls in a barrel? * Did Native Americans really sacrifice people by the lake? * How often do rockfalls occur? * Did the water ever naturally stop going over the falls? * Why is the water green? Published in a convenient pocket-sized edition, the book pinpoints the best scenic spots at the falls and recounts daredevil stunts. Packed with photographs and charts, and referenced with an index.